Welcome to Tri Valley Health System Comprehensive Wound Healing Center. We’re dedicated to healing wounds, preventing lower limb loss and optimizing outcomes for our patients. Please contact Tri Valley Health System at 308-697-3329 or info@trivalleyhealth.com to learn more about how we can help you or a loved one. The Comprehensive Wound Healing Center at Tri Valley Health System provides care to those suffering from non-healing wounds in a way no other provider can – all in one location. A comprehensive Wound Healing Center is a coordinated outpatient center that utilizes the latest techniques and procedures to provide the best chance of healing. ​The wound healing center is staffed with a multidisciplinary team of physicians, along with mid-level providers and nurses with advanced training in wound care, who will customize the most effective treatment plan to stimulate healing. Comprised of primary physicians, APRN and podiatrists, our team is dedicated to providing the most advanced healing options to patients, allowing them to recover as quickly and completely as possible. As wound-healing specialists, our clinicians have a proven track record of healing wounds – even those that have not responded to other treatments. ​Our approach to wound care is aggressive and comprehensive, combining traditional and advanced therapies and techniques that are proven to reduce healing time and improve healing rates. ​​Your course of treatment depends on what type of wound you have. 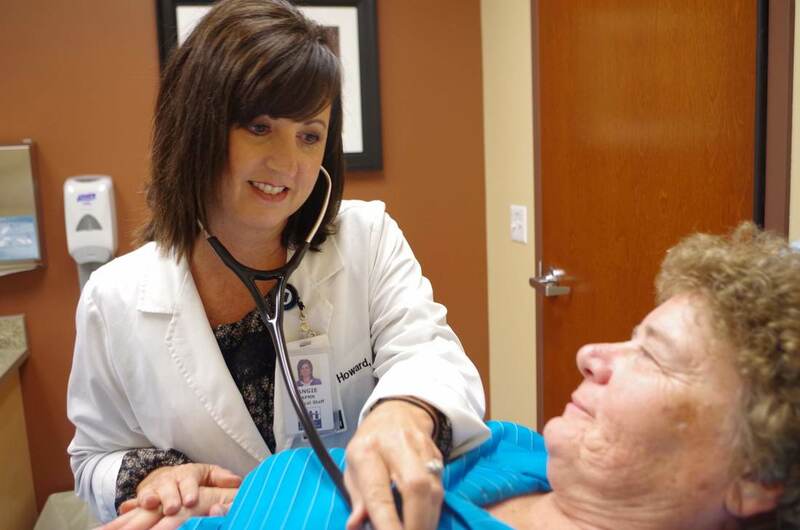 During your first visit, our staff will evaluate your wound and review your medical history. You may also need special tests that give us information about circulation and infection. This will help to determine the treatment plan. Following your treatment is the single most important factor in your healing. Please don’t hesitate to contact us at 308-697-3329 or info@trivalleyhealth.com to learn more about our doctors or treatment plans. We’re happy to clarify anything you feel uncertain about regarding the wound care treatment process.